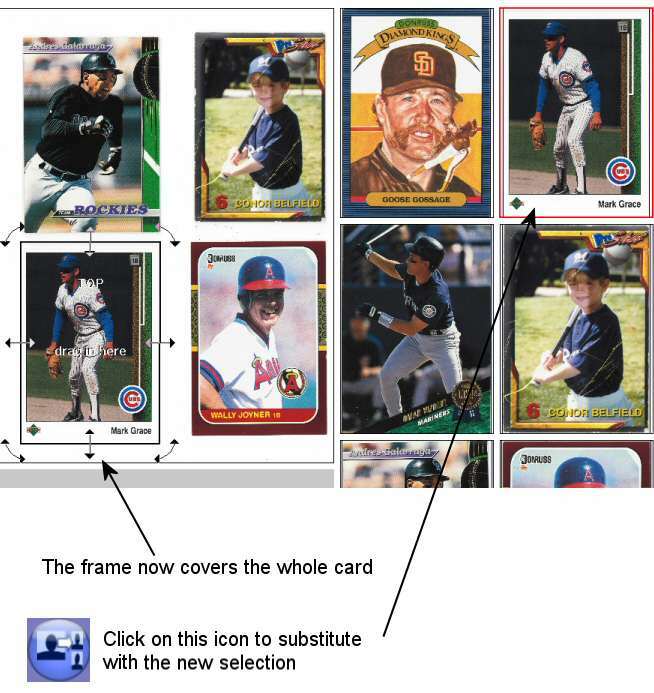 We need to adjust one of the images, the one of Mark Grace in the bottom middle of the main image. If you look at the extracted image, the one at top right of the screenshot, you'll see that it has missed out the name at the bottom of the card. This is because the white border of the card and the white background of the scanner cover look the same to the program. Note the first and last baseball cards on the top row. 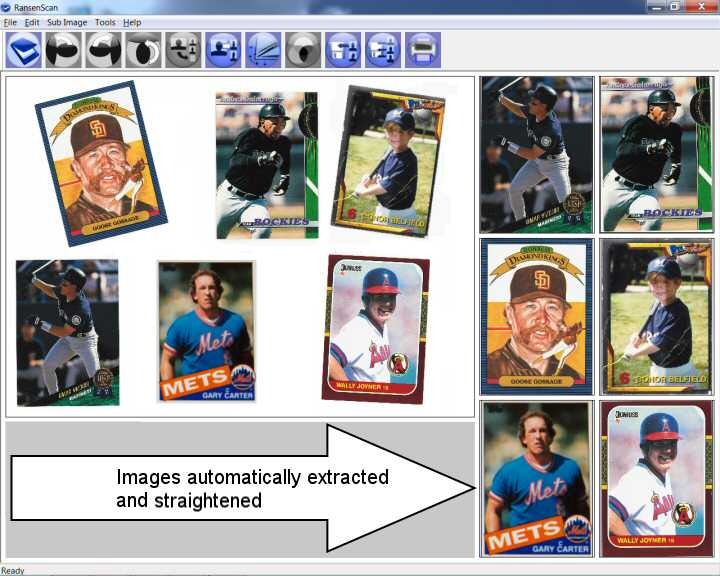 In the automatically extracted images (on the right) they have also been automatically straightened. In the above example it has been set for scanning small photos or stamps. For sports collections the max should be set at about 30%, often less. For scanning cards on large scanners click here. RansenScan has a free demo (for Windows XP, Vista, 7 and 8) which you can download by clicking on the button below. 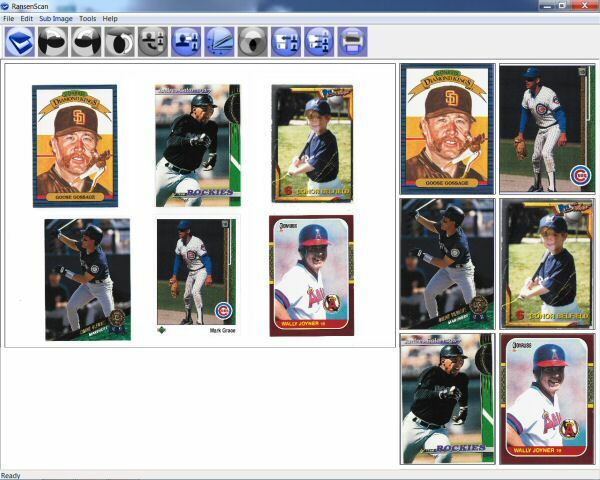 That way you can try it on your own card collections with your own scanner before buying the full version. 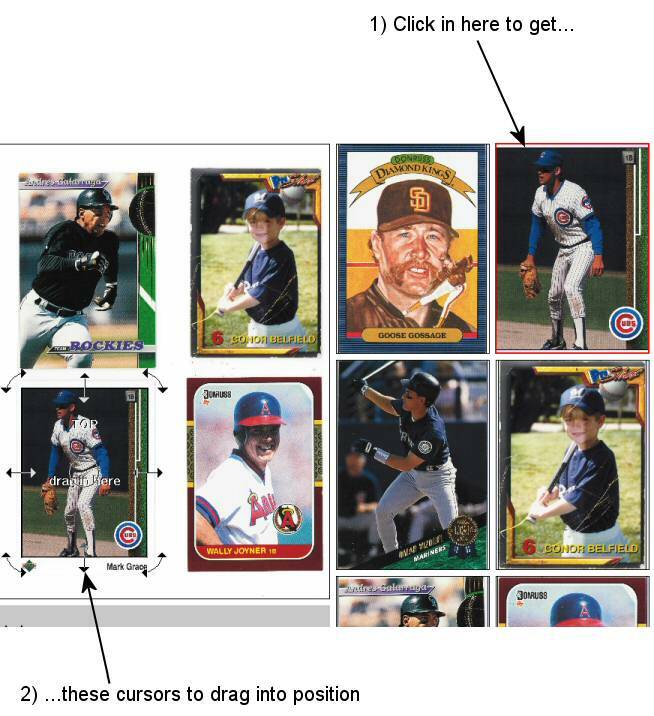 More tips for baseball card scanning. Scan and automatically extract up to 20 images in a single go.